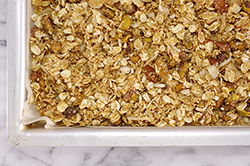 A worthy snack on its own or as a topping, granola offers great crunch and flavor! 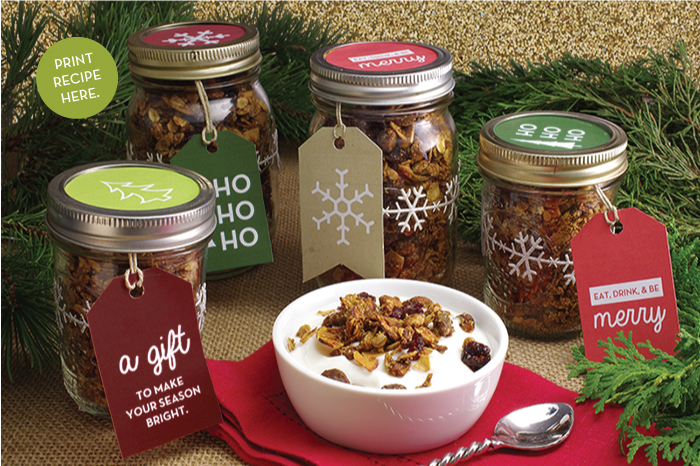 You’ll find that homemade granola tastes different and so much better than commercial preparations – it’s truly a treat! 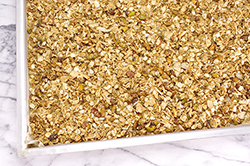 We’ve spiked this granola with red and green for the season thanks to the dried cranberries and pistachios. It looks festive when jarred, ribboned, and tagged – a welcomed gift by anyone lucky enough to receive! (1) Preheat the oven to 325°F. Line a rimmed half-sheet baking pan with parchment paper. 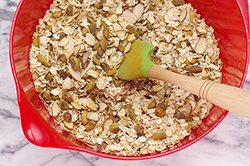 (2) Mix the following dry ingredients together in a large bowl until evenly distributed – oats, oat bran, wheat germ, coconut, pistachios, almonds, cinnamon, cardamom, and salt. (3) In a separate bowl, combine and mix well the following ingredients – maple syrup (or honey), brown sugar, olive oil, and vanilla extract (reserving the cranberries for later). 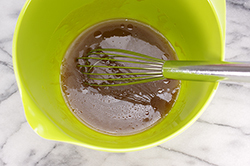 (4) Drizzle the wet mixture over the dry mixture, tossing intermittently while drizzling to distribute evenly. Stir together well. 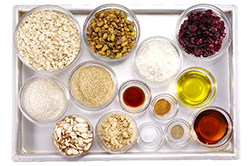 (5) Spread the mixture on the prepared baking sheet in an even layer. Bake for 30 minutes, stirring every 10 minutes. Add the dried cranberries, stir to distribute and bake another 10 minutes. (6) Remove from the oven and allow the mixture to cool completely. It may appear wet initially, but as it cools, the liquids will be absorbed and the granola will be dry.